When planning a project to upgrade your home or yard many factors are involved. Deciding on a design, what materials to use, where to purchase materials, how to install the materials, and how much you can do while staying within your budget can be overwhelming for many homeowners. Hiring a contractor to complete the project can alleviate much of the stress involved. Contractors will not only provide the physical labor but can also assist in the design process, acquire the necessary materials for your project, and give you the best results while staying within your budget. One of the biggest decisions you will make during your home improvement project is which contractor to choose. You can find home improvement contractors through the Internet, from friends or family, or by recommendation from a sales associate at one of the six convenient RCP Block and Brick retail locations. Will the contractor complete the project in a professional and timely manner? Does the contractor’s skill set match the skills required to complete the project? Most importantly, is the contractor trustworthy? Before you give someone your money and let him or her into your home you want to make sure it is someone you can trust. In California, you should first check on the status of potential contractors licenses and complaint disclosures through the Contractor State License Board. This handy tool allows searches by contractor name, license number, personnel name, HIS number, or HIS name. Ask to see his or her contractor’s license and inquire about what kind of insurance the contractor has–including worker’s compensation, property damage, and personal liability insurance. Hiring a contractor with the appropriate insurance protects the homeowner from being liable for injuries or property damage that may occur during your project. Ask for references to previous jobs to ensure past customers were satisfied with the contractor’s work. Talking to past customers can give you an idea of how professional a contractor is, if the contractor completes jobs in a timely manner and on budget, whether the contractor maintains a clean and safe work area, and if the work was done adequately and to the likings and expectations of the past customers. Ask for a list of his or her suppliers and see if the contractor has longstanding relationships with suppliers such as RCP. Many times contractors with relationships to suppliers can buy materials for a lower price than the general public, which can keep your costs down. Ask how long the contractor has been in business and what kind of experience he or she has in the industry. Contact your local Better Business Bureau to see if any complaints have been filed against the contractor. Consider and compare the bids given by different contractors. The cheapest is not always the best. If a contractor’s bid is significantly lower than the bids of other contractors this may indicate desperation on the part of the contractor for work, which can be reflected in the quality of work or the level of professionalism. When signing a contract with the contractor of your choice, make sure that it includes all the things agreed to by both you and the contractor. Home improvement projects can be exciting, worthwhile, and have the ability to increase the value of your home. 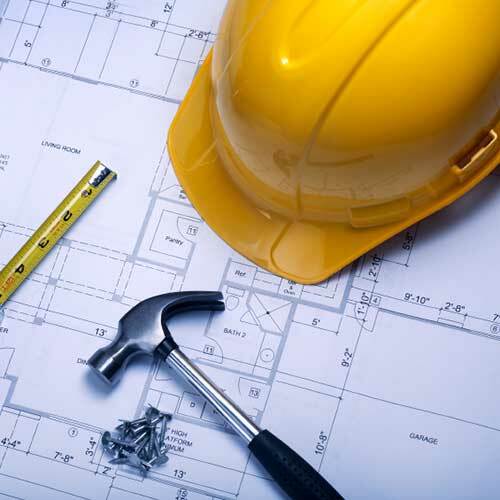 Picking the right contractor ensures that your project runs smoothly and is completed correctly. Following these tips you can ensure a job well done and avoid costly repairs down the road.